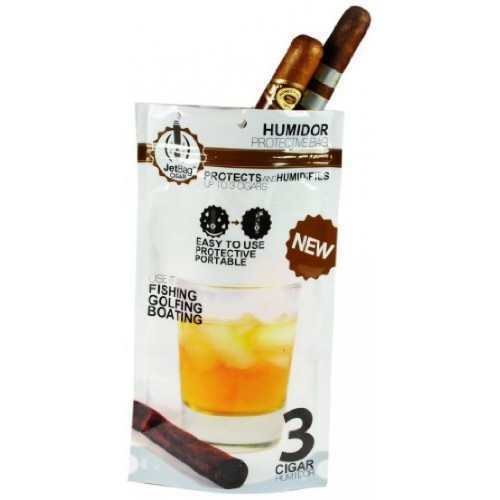 A portable and disposable pouch for transporting cigars. This essential for an on-the-go smoker. Whether you’re on a business trip, golfing, fishing, a hunting trip or just out with associates. Rest assured your cigars are safe in this protective pouch. The JetBag Cigar is a multi-laminated water and airtight pouch with simple and effective portable protection and humidification solution. A pad in the bag safeguards up to 3 cigars and a water-pillow provides the necessary humidity for X number of days.